In the Malaysia Chronicle of 17 January 2014, Sarawak Oil Palm Plantation Owners Association (Soppoa) mentions that there is no credible scientific basis for companies to divest from palm oil plantations on peat soils. The article refers to the announcement of Wilmar about a month ago to undertake 'no deforestation, no peat, no exploitation' in their palm oil trades. 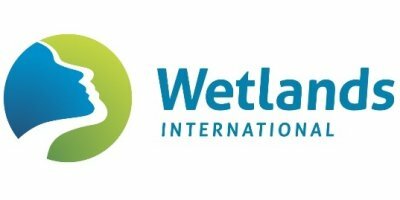 Wetlands International welcomes Wilmar’s decision and gives a brief recap in this article of the science base. Peat drainage, which is needed for oil palms to grow on peat soil, causes a high release of greenhouse gases (GHG) because the peat will oxidise and disappear as CO2. Given the importance of these GHG emissions, and the ongoing expansion of oil palm plantations on peat, many peer reviewed studies have in recent years focused on this issue. Some of the key literature is mentioned below. Given the significance of the impacts that are described in the scientific literature, the Roundtable on Sustainable Palm Oil (RSPO) adopted in April 2013 a set of adjusted Principles and Criteria to ensure that the production of palm oil is sustainable. Some of the key issues addressed are the environmental impacts resulting from oil palm on peat, including GHG emissions and soil subsidence. In 2013 the RSPO published a set of scientific reviews and other literature resulting from many years of exploration and discussions in RSPO Working Groups. Couwenberg, J., Dommain, R. & Joosten, H. (2010). Greenhouse gas fluxes from tropical peatlands in south-east Asia. Global Change Biology, 16, 1715-1732. Couwenberg et al (2010,2012); Hooijer et al (2010, 2012); Jauhiainen et al (2012); Melling et al (2005); Moor et al (2013); Page et al (2011); vd Werf et al (2008); Wösten et al (1997); Verwer et al (2008); RSPO (2013). Hooijer, A., Page, S. E., Jauhiainen, J., Lee, W. A., Lu, X.X, Idris, A., and Anshari, G. (2012). Subsidence and carbon loss in drained tropical peatlands. Biogeosciences, 9, 1053–1071. Hooijer, A., Page, S., Canadell, J. G., Silvius, M., Kwadijk, J., Wösten, H., and Jauhiainen,J. (2010). Current and future CO2 emissions from drained peatlands in Southeast Asia, Biogeosciences, 7:1505–1514. Jauhiainen, J., Hooijer, A., and Page, S.E. (2012). Carbon dioxide emissions from an Acacia plantation on peatland in Sumatra, Indonesia, Biogeosciences, 9, 617–630. Page S.E, Morrison R, Malins C, Hooijer A, Rieley J.O., Jauhiainen J (2011) . Review of peat surface greenhouse gas emissions from oil palm plantations in Southeast Asia (ICCT white paper 15). Washington: International Council on Clean Transportation. van der Werf, G.R., Dempewolf, J., Trigg, S. N., Randerson, J. T., Kasibhatla, P. S., Giglio, L., Murdiyarso, D., Peters, W., Morton, D. C., Collatz, G. J., Dolman, A. J., and DeFries, R. S. 2008. Climate regulation of fire emissions and deforestation in equatorial Asia. PNAS 105(51): 20350–20355. Wösten, J.H.M., Ismail, A.B., and van Wijk, A.L.M. (1997). Peat subsidence and its practical implications: a case study in Malaysia. Geoderma 78:25-36. Verwer C, Meer Pvd, Nabuurs GJ (2008). Review of carbon flux estimates and other greenhouse gas emissions from oil palm cultivation on tropical peatlands –Identifying the gaps in knowledge. Alterra-rapport 1731. ISSN 15667197. No comments were found for Divestments oil palm on peat has solid scientific basis. Be the first to comment!